Investing in Atlanta-area real estate is an excellent financial decision. However, many people get into the real estate market without fully understanding	what’s involved with leasing out their property. Being a good landlord	is hard work, and requires more time than many property owners are willing	to give. 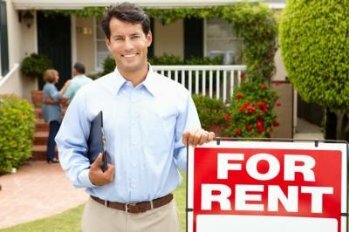 If you’ve recently purchased a residential property that	you plan to rent out, consider having the team at Realty 1	st provide residential property management services. There are many	benefits from working with a property manager near Atlanta. If you live far away from your rental property, are too busy to respond	to tenant complaints, or are not interested in the day-to-day minutiae	of being a landlord, hiring a property management company may be the right	choice for you. Here are just a few people who can benefit from professional	property management. Single-Family Homeowners: You get to decide how much or how little your property management company	does. If you choose, you could have your property manager look after a	single rental property. Apartment Building Owners: Generally speaking, landlords who own a lot of rental units stand to gain	the most from property management services. A skilled property manager	can help you deal with complaints from dozens or even hundreds of tenants. Tenants: Hiring a property management company can ensure that your tenants have	their complaints resolved swiftly and effectively. The happier your tenants	are, the more likely they are to stay. Working with a property manager to rent your property can be the key to	long-term success. Be sure to check out our	additional tips for residental property management	. Sometimes, managing properties can feel like a full-time job. To remove	some of the pressure from your shoulders, consider having a property management	company provide the following services. Finding Tenants: Keeping your rental properties filled with tenants is important for covering	your mortgages and other expenses. A professional property manager can	help market your properties and find trustworthy tenants. Property Maintenance: Handling tenant complaints is a huge part of being a landlord. If you don’t	have the time to perform maintenance, let your property management company	address repairs and other issues. Evictions: A good property management company can handle all the negative aspects	of property management. If a tenant fails to pay rent, for example, you	can have your property manager handle the eviction process. 1. Do they have a credit score of 560 and above? 2. Do they have any evictions and litigation associated with the real property	on their credit report? 3. Do they receive income 3 times larger than the rent amount of the rental property? Realty 1st qualifies and adjusts the terms of Tenant’s lease agreements	based on each individual tenant credit history. Based on above criteria,	the positive or negative records may increase or decrease the security	deposit amounts the Tenant has to place to ensure the performance of the	lease agreement. We are always looking out for the Landlord’s best	interest and create enough incentives for the Tenants to perform according	to the lease agreement. Leasing is an art of making all parties happy and getting what they want! Why Choose Realty 1 st? Realty 1	st has been serving the Atlanta area for 20 years, and our team members know	what it takes to successfully manage rental properties. Our teamwork,	attention to detail, and amazing work ethic have helped make life easier	for property owners throughout the Atlanta area. Whether you’re interested	in residential property management or are in need of	short sale experts, we’re the team for the job.